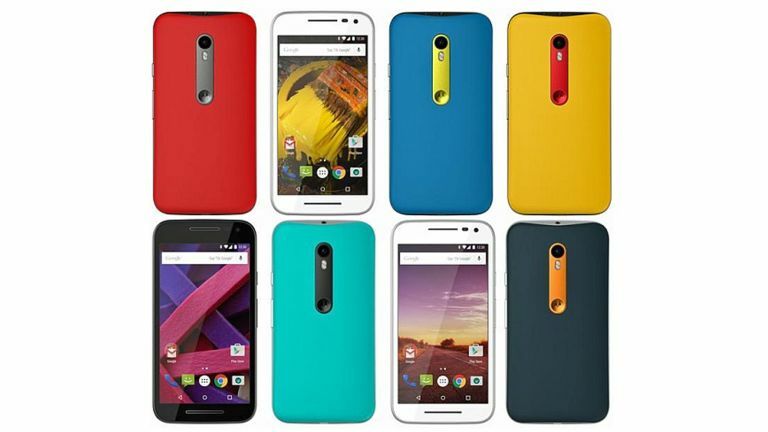 The nextMotorola Moto Gis set to launch on the 28 July according to the latest report, and will offer Moto Maker customisation, letting you choose what it look like. Everyone's favourite budget Android is about to get an update, Techmundo reporting that the next Moto G variant will arrive on 28 July. The site says the phone will cost 899 Brazilian Real, which equates to around £180. Fingers crossed it'll arrive a bit cheaper than that as the current Moto is £159 SIM-free. Further to this, veteran reliable leaker Evan Blass suggests the next Moto G will also offer Moto Maker customisation, letting you pick the exact shade of the phone's back and its various accents. This is pretty consistent with what we get with the latest Moto E, which has a removable colourful bumper on the side. Other than this, though, it seems Motorola is aiming for more of the same with the Moto G, making spec upgrades but otherwise not spoiling the formula. The next Moto G is likely to have a 64-bit Snapdragon 410 CPU, 5-inch 720p screen and a combo of 13-megapixel and 5-megapixel cameras. That's pretty much on-par with its latest rivals. The original leak suggests the Moto G will be launched in Brazil, but with any luck there'll be multiple events across the globe welcoming the new phone. Check out our guide to the best smartphone.